Tasmanian Warbird Adventures offers spectacular aerobatic flights, air shows and fly-pasts in our genuine World War II Harvard fighter trainer aircraft. The aircraft is fantastic for passengers, with a 360 degree view from the bubble canopy. This gives you outstanding perspectives of your surroundings with a fantastic feeling that you’re soaring with the eagles. Another truly special feature of this aircraft is to be able to fly with your canopy open (if you wish) to give an unbelievable flying experience. As each flight is tailor-made for the passenger, they can choose how much of the optional aerobatics & simulated ground attack manoeuvres they experience, from mild to wild! Your pilot is former Royal Air Force fighter pilot Jethro Nelson, who flew Tornado & Hawk jets during his 20 years service. An amazing airborne experience in a rare World War II fighter aircraft – the legendary Harvard, flown by a former Royal Air Force fighter pilot. 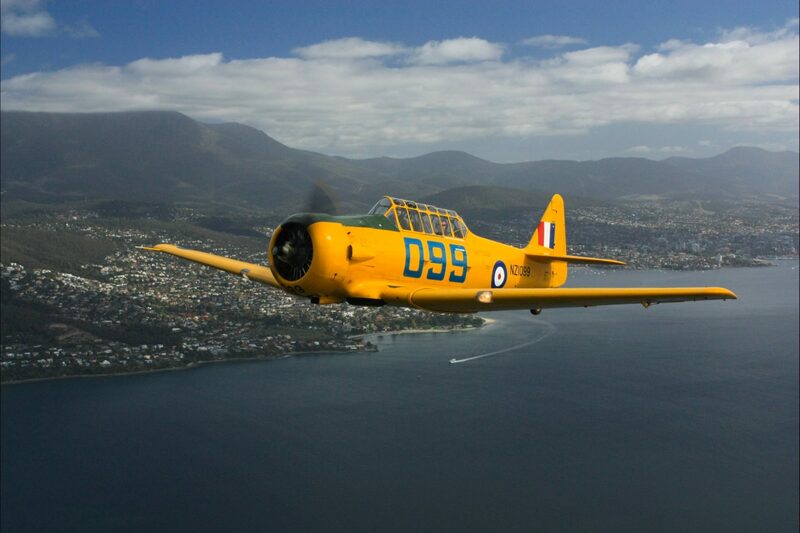 Based in Hobart, the flight combines the nostalgia of the 1940s with the spectacular 360 degree panorama from your cockpit seat, including the option of opening your canopy up in flight for an amazing sense of freedom and connection with your surroundings. 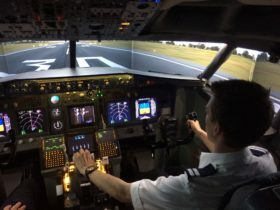 The flight can also include aerobatics or simulated attacks on ground targets, or it can be as gentle as you want – the choice is yours and each flight is tailor-made to passenger requirements. 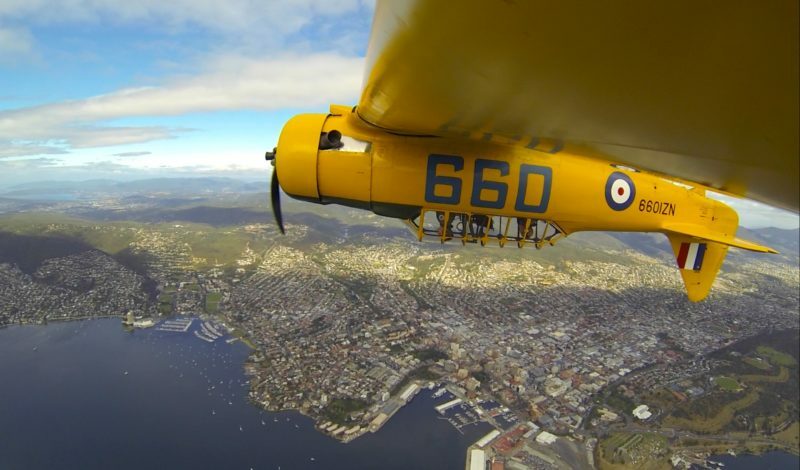 The flight departs from Cambridge Airport, and then flies over the River Derwent and up to Mt Wellington for an incredible perspective of Hobart. 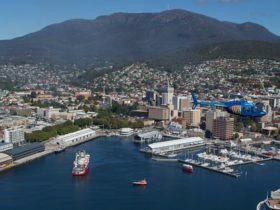 From there, you swoop down over Hobart itself, before heading down the coast to the edge of the Southern Ocean and Bruny Island. The flight then returns to land at Cambridge, where more photos of your experience are taken. Your whole experience is captured on two cameras, so you can share it with your family and friends. 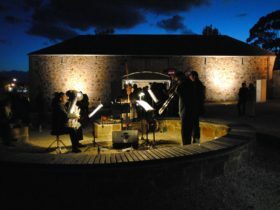 The occasion is captured in HD video to re-live the event.